The sizes of the coloured crop rectangles are relative to each other based on thousand hectare measures. The four pie charts describe the distribution of the main crops amongst the main farm sizes. For a cultivating household, do the profits – if there are any – from the sale of a commercial crop both enable the household to buy food to fit a well-balanced vegetarian diet, and have enough left over to bear the costs of its commercial crop, apart from saving? Is this possible for smallholder and marginal kisans? Are there districts and talukas in which crop cultivation choices are made by first considering household, panchayat and taluka food needs? Considering the district of Yavatmal, in the cotton-growing region of Maharashtra, helps point to the answers for some of these questions. Yavatmal has 838,000 hectares of cultivated land distributed over 378,000 holdings and of this total cultivable area, the 2010-11 Agriculture Census showed that 787,000 hectares were sown with crops. Small holdings, between 1 and 2 hectares, account for the largest number of farm holdings and this category also has the most cultivated area: 260,000 hectares. Next is farms of 2 to 3 hectares which occupy 178,000 hectares, followed by those of 3 to 4 hectares which occupy 92,000 hectares. The district’s kisans allocate their cultivable land to food and non-food crops both, with cereals and pulses being the most common food crops, and cotton (fibre crop) and oilseeds being the non-food (or commercial) crops. How do they make their crop choices? From the agriculture census data, a few matters immediately stand out, which are illustrated by the graphic provided. First, a unit of land is sown 1.5 times in the district or, put another way, is sown with one-and-a-half crops. This means crop rotation during the agricultural year (July to June) is practiced but – with Yavatmal being in the hot semi-arid agri-ecoregion of the Deccan plateau with moderately deep black soil – water is scarce and drought-like conditions constrain rotation. Second, land given to the cultivation of non-food crops is 1.6 times the area of land given to the cultivation of food crops (including the crop rotation factor), a ratio that is made abundantly clear by the graphic. This tells us that the food required by the district’s households (about 647,000 of which about 516,000 are rural) cannot be supplied by Yavatmal’s own kisans. The vegetables required by the populations of Yavatmal’s 16 talukas (Ner, Babulgaon, Kalamb, Yavatmal, Darwha, Digras, Pusad, Umarkhed, Mahagaon, Arni, Ghatanji, Kelapur, Ralegaon, Maregaon, Zari-Jamani, Wani) can in no way be supplied by the surprisingly tiny acreage of land allocated to their cultivation. Nor do they fare better for fruit, which has even less land (although this is a more complex calculation for fruit trees, less so for vine fruits). Third, 125,000 hectares to wheat and 71,000 hectares to jowar makes up almost the entire cereals cultivation. Likewise 126,000 hectares to tur (or arhar) and 94,000 hectares to gram accounts for most of the land allocated to pulses. 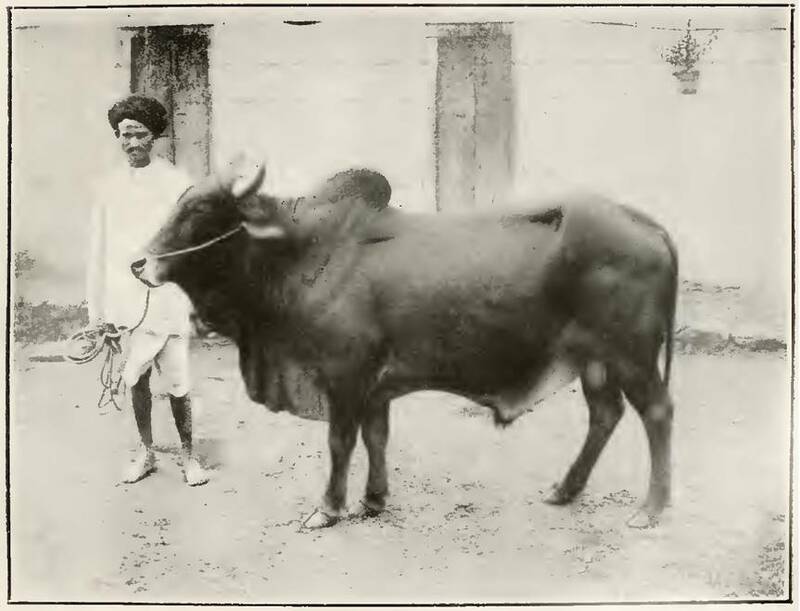 Thus while Yavatmal’s talukas are well supplied with wheat, jowar, gram and tur dal, its households must depend on neighbouring (or not so neighbouring) districts for vegetables, as a minimum of 280,000 tons per year is to be supplied to meet each household’s recommended dietary needs. What the graphic helps us ask is the size of the costs associated with crop cultivation choices in Yavatmal. The cultivation of hybrid cotton in India’s major cotton growing regions (several districts each in Maharashtra, Andhra Pradesh and Gujarat) is associated with heavy chemical fertiliser and pesticides use. 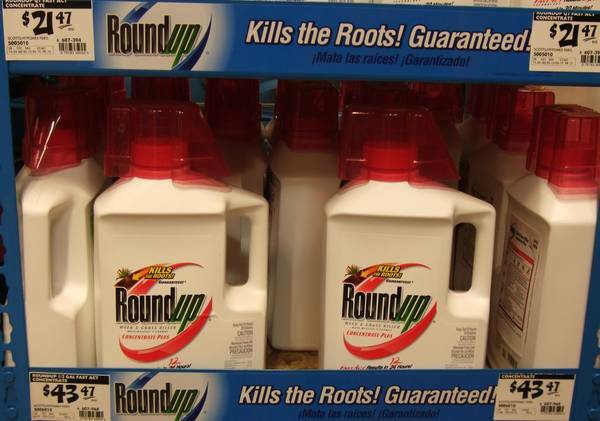 Whether the soil on which cotton has grown can be sown again with a food crop is not clear from the available data but if so such a crop would be saturated with a vicious mix of chemicals that include nitrates and phosphates. The health of the soil in Yavatmal’s 16 talukas is probably amongst the most fragile in Deccan Maharashtra, and after years of coaxing a false ‘productivity’ out of the ground for cotton, it would be best for the district’s 516,000 rural households to take a cotton ‘holiday’ for three to four years and revert to the mixed and integrated cropping of their forefathers (small millets). But the grip of the financiers and the textiles intermediaries is strong. The Farm and Ranch Freedom Alliance has reported that one of the USA’s s senior soil scientists has alerted the national government to a newly discovered organism that may have the potential to cause infertility and spontaneous abortion in farm animals, raising significant concerns about human health. Dear Secretary Vilsack: A team of senior plant and animal scientists have recently brought to my attention the discovery of an electron microscopic pathogen that appears to significantly impact the health of plants, animals, and probably human beings. 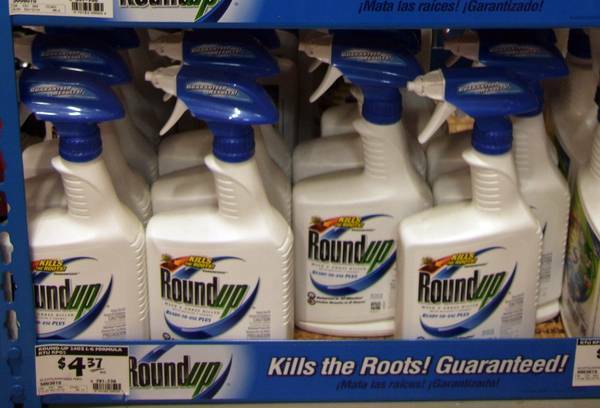 Based on a review of the data, it is widespread, very serious, and is in much higher concentrations in Roundup Ready (RR) soybeans and corn—suggesting a link with the RR gene or more likely the presence of Roundup. This organism appears NEW to science! This is highly sensitive information that could result in a collapse of US soy and corn export markets and significant disruption of domestic food and feed supplies. On the other hand, this new organism may already be responsible for significant harm My colleagues and I are therefore moving our investigation forward with speed and discretion, and seek assistance from the USDA and other entities to identify the pathogen’s source, prevalence, implications, and remedies. The Economic Survey 2009-10 has attempted to conceal the true impact of chemical fertiliser abuse in India. Chapter 2 of the Survey deals with agriculture, and the Survey states: “The per hectare consumption of fertilisers in nutrients terms increased from 105.5 kg in 2005-06 to 128.6 kg in 2008-09.” This is false. Here is why. 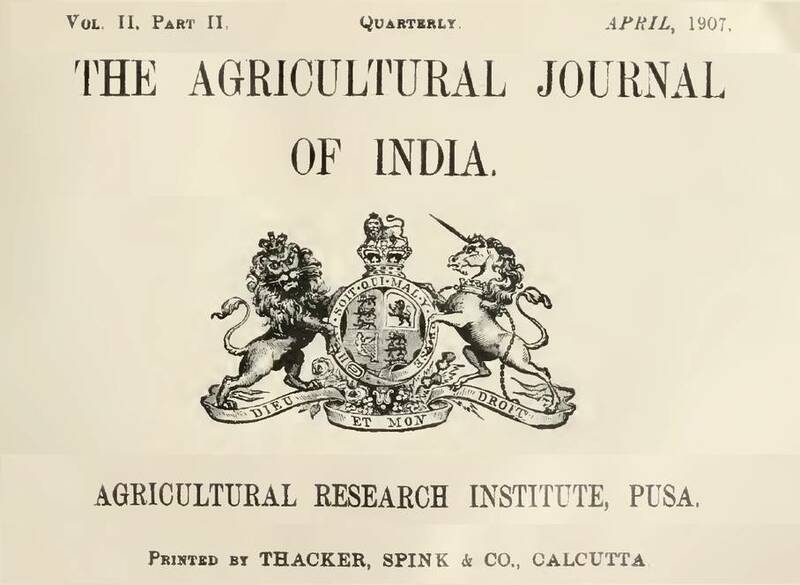 In 1950-51 the average fertiliser use in India was only 0.58 kg per hectare. The net sown area was 118.75 million hectares upon which 69,000 tons of fertiliser were used. Of course this is a notional average use only, as 60 years ago fertiliser was an agricultural input in only a few districts which were being primed for what was to become the Green Revolution. Still, that was the ‘national average’. 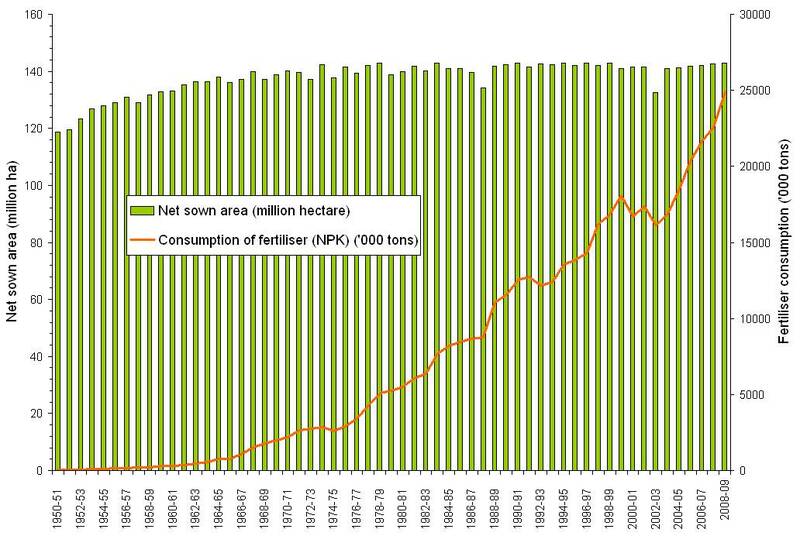 It took 16 years before that average crossed 10 kg of fertiliser per hectare, and that happened in 1967-68 when the net sown area was 139.88 million hectares and the total fertiliser use was 1.53 million tons. Thereafter it took only 5 years to reach 20kg/ha. The period 1971-72 to 1975-76 saw little change – the only such period in the last 60 years – in intensity of fertiliser use. Those were the years of the global oil crisis, the so-called first oil shock of the seventies. For that time, the ‘national average’ remained between 18 and 20 kg/ha while the total net sown area varied but little from 140 million hectares and total fertiliser use stayed between 2.65 and 2.89 million tons. Per hectare application of fertiliser continued its upward trend from 1975-76 and it took less than 8 years to cross 50kg/ha and another 6 years to cross 80kg/ha – in 1989-90 India’s total fertiliser use was 11.56 million tons. In the decade of the 1990s, total fertiliser use in India rose by 44% (from 12.54 mt to 18.06mt) and per hectare application went up by 46% as the available agricultural land plateaued at around 140 million hectares. 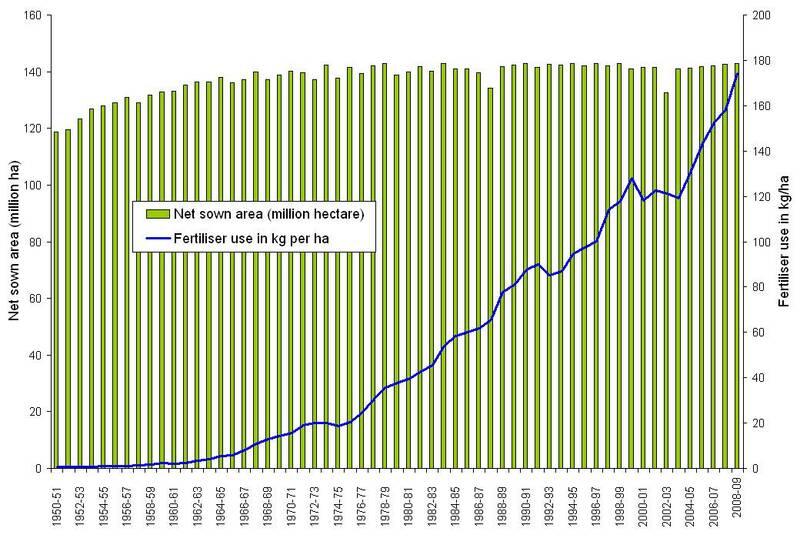 Both total use and per hectare application remained at those levels until 2004-05. In the last four years there has been an astonishingly steep increase in the total consumption and per hectare use. For 2008-09 the total fertiliser use at 24.9 mt is more than 6.5 mt more than the figure for 2004-05, and per hectare use has shot up to over 174 kg/ha from 130 kg/ha in 2004-05, a jump of 33% in just four years. The Survey is wrong. The per hectare use crossed 105 kg in 1997 – nine years before the Survey says it did – and crossed 130 kg in 2004-05. In 2008-09 the rude equation is: 143 million hectares of net sown area; 24.9 mt of total fertiliser consumption. The Survey has concealed true per hectare consumption of fertiliser by swapping net sown area with gross sown area. Net sown area is the land surface on which crops are grown. To assess output and productivity, when cultivated land is used to grow more than one crop per year, that area on which the second crop is grown is counted again, which gives us gross sown area. Counting cultivated land more than once raises the sown area from 143 million hectares (net) to 190 million hectares (gross). And that is how the per hectare consumption of fertiliser is portrayed as much lower than it truly is. Chemical fertiliser however affects the parcel of land, and is not divisible by the number of crops the land is employed for. The resulting difference is enormous: 45.4 kg/hectare! The data I have used comes from the Reserve Bank of India Handbook of Statistics on Indian Economy 2008-09. For 2007-08 and 2008-09 I used the total NPK consumption figures from the Economic Survey 2009-10. The Holi and Id-e-Milad breaks coming right after the presentation of Union Budget 2010-11 have been welcome, for they allow an unhurried look at what the Government of India is saying versus what it indicates it will do. 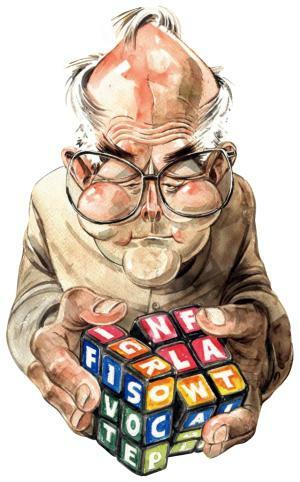 This Budget’s two key documents – the Budget proposals for 2010-11 and the Economic Survey 2009-10 – contain a term which was entirely absent from government-speak only three years ago. That term is “inclusive”. 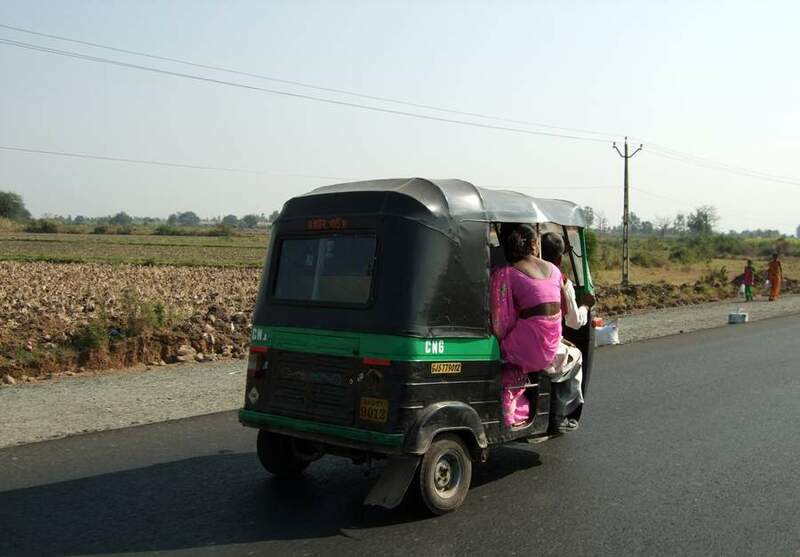 The central and state governments are now using the words “inclusive” and “inclusion” to talk about almost everything: inclusive growth, financial inclusion and inclusive development. It has gained, in India of today, the same sort of currency that “sustainable development” did worldwide about a decade ago. What on earth does it mean for the sarkar? So said Pranab Mukherjee, Minister of Finance, in his Budget speech on 26 February 2010. “Price movements during fiscal 2009/10, as reflected in both the WPI [wholesale price index] and the CPI [consumer price index], have been characterised by very high rates of inflation in primary food articles and manufactured food products. The WPI rate of inflation for primary food articles crossed 20% in November 2009 and even at the end of January 2010 was close to 18%. Other than food products, the prices of other primary and manufactured goods have generally not increased by much. From ‘Concluding Coments’, ‘Management of Prices’ in Review of the Economy 2009/10, by the Economic Advisory Council to the Prime Minister. That is what “growth” does to prices, and prices that move the way food prices have in India for the last three years utterly wreck “inclusion”. I find it worrying that the Economic Advisory Council is talking about a parallel distribution channel to supplement the PDS, when (1) any number of independent studies have pointed out that the PDS has been handicapped in fact by exclusionary policy and (2) when state governments are quite likely to use public-private partnership methods to set up alternative distribution channels, which heap more misery on the rural and urban poor. 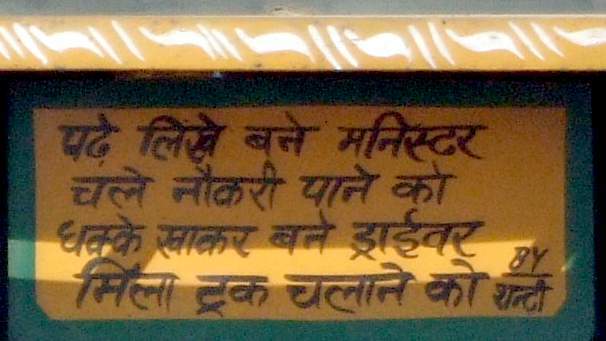 "Pade likhe bane minister, Chale naukri paane ko, Dhakke khaakar bane driver, Mila truck chalaane ko"
How contradictory the government’s “inclusive” claims are versus its intentions as contained in its other Budget measures can be seen in the Budget highlights, in which the Ministry of Finance summarises the major provisions. * Government to address the issue of opening up of retail trade. It will help in bringing down the considerable difference between farm gate, wholesale and retail prices. * Deficit in the storage capacity met through an ongoing scheme for private sector participation – FCI to hire godowns from private parties for a guaranteed period of 7 years. Retail trade has so far done exactly the opposite of what is claimed here, while more storage capacity will directly benefit the flourishing agricultural commodity futures traders and brokers. Increased credit support is visible only in bank statements whereas small and marginal farmers (who together account for 81.9% of operational agricultural land holdings) are left out. Several estimates made in the last three years (a World Bank study amongst them) show that 87% of marginal and 70% of small farmers are not getting credit through institutions. In fact, 51% of all farmers, big and small, get no banking services, let alone credit. If 2009-10 was the year in which “inclusion” became popular with Bharat sarkar, 2010-11 needs to be the year in which its “inclusive” claims are either backed up by credible action or thrown out. From late 2003 to early 2005 I was part of a small group in south Nagaland (in India’s north-east region) conducting a study on natural resource management and the prospects for tourism in the region. The study was funded by a Indian central government ministry, was ‘supervised’ by the state government and was made possible by the village community of Khonoma, in the Naga hills. At around the mid-point of our study, when the time had come for the paddy seedlings to be transplanted, that the convergence of climate change and scarce labour resources became obvious. The seedlings were not ready to be moved at the time of year they were usually expected to be. 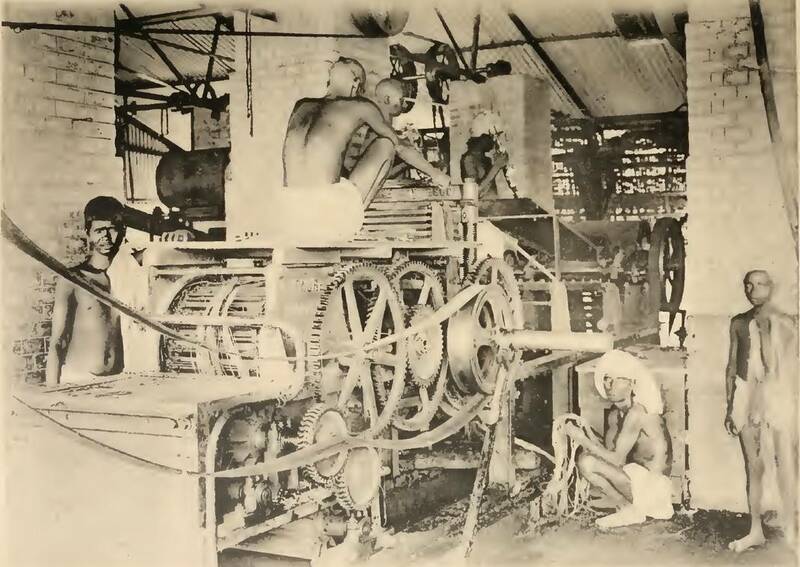 By the time they were, the extra labour each rice farming family had mobilised in preparation for the hard work ahead, had their regular jobs and occupations to return to. The hill villages were in turmoil. Practically every single family that had a plot of terraced rice field to attend to was caught in a dilemma. If they insisted that those who had come to the villages to help them – daughters, sons, cousins or aunts – stay back to complete the work, those helpful souls would certainly lose salaries and wages. 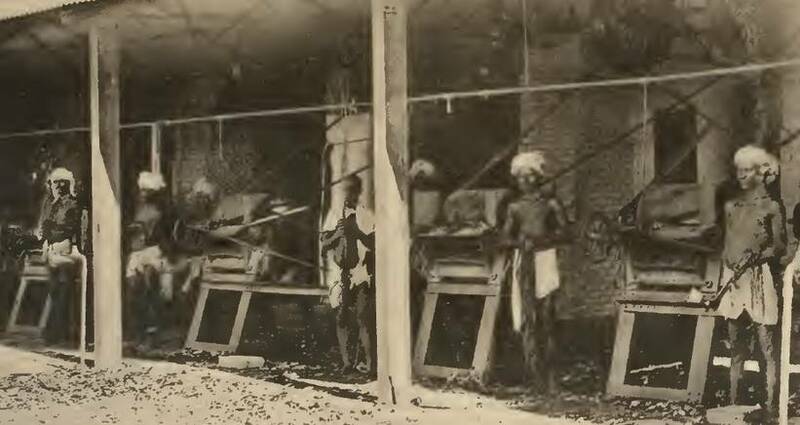 If they let them return, they would have to look for very scarce hired labour, whose per day wage was high and which would certainly rise given the scarcity of hands available and time. It was for most families a Hobson’s choice, and by either reckoning only made the socio-economic cost of rice cultivation dearer. This was the most dramatic impact of climate change that I saw at the time, for the shift in transplanting season was considered very odd indeed by the villages, almost unprecedented. We know now that local observations of direct effects of climate change by tribal populations and indigenous peoples corroborate scientific predictions. In a very real sense, indigenous peoples are the advance guard of climate change. They observe and experience climate and environmental changes first-hand, and are already using their traditional knowledge and survival skills – the heart of their cultural resilience – to respond. 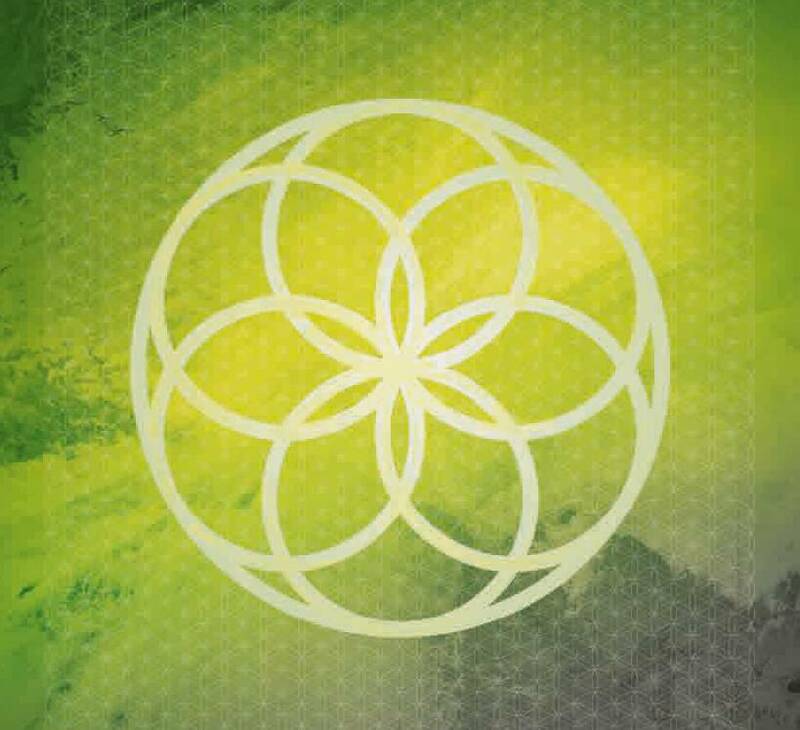 Moreover, they are doing this at a time when their cultures and livelihoods are already undergoing significant stresses not only due to the environmental changes from climate change, but from the localised pressures and economic impulses of global trade and movement of capital. The United Nations University’s Institute of Advanced Study has just released an advance copy of what promises to be a goldmine of such observation. The volume is entitled ‘Advance Guard: Climate Change Impacts, Adaptation, Mitigation and Indigenous Peoples – A Compendium of Case Studies’. The 402 case studies summarised in this densely packed volume mention a host of specific vulnerabilities and early effects of climate change being reported by indigenous peoples (and these include cultural and spiritual impacts): demographic changes, including displacement from their traditional lands and territories; economic impacts and loss of livelihoods; land and natural resource degradation; impacts on food security and food sovereignty; health issues; water shortages; and loss of traditional knowledge. Impacts are felt across all sectors, including agriculture and food security; biodiversity and natural ecosystems; animal husbandry (particularly pastoralist lifestyles); housing, infrastructure and human settlements; forests; transport; energy consumption and production; and human rights. 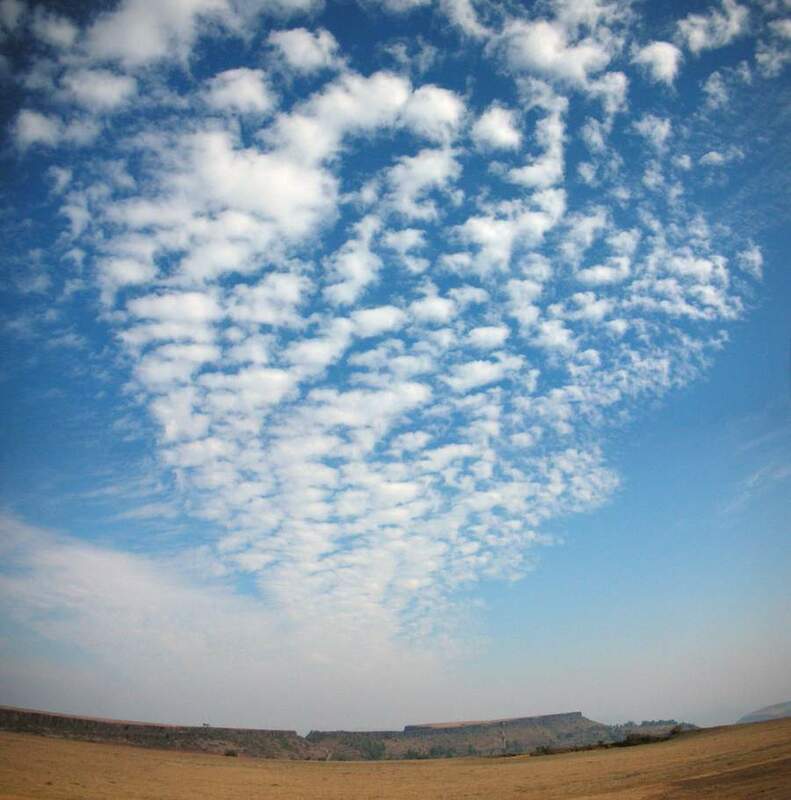 The entire range of effects on habitats and their biomes are supplied: temperature and precipitation changes; coastal erosion; permafrost degradation; changes in wildlife, pest and vector-borne disease distribution; sea-level rise; increasing soil erosion, avalanches and landslides; more frequent extreme weather events, such as intense storms; changing weather patterns, including increasing aridity and drought, fire and flood patterns; and increased melting of sea-ice and ice-capped mountains. BANGLADESH | Indigenous forecasting in Maheshkhali, using meteorological indicators and animal behaviour to predict cyclones. Maheshkhali Island is situated off the Bay of Bengal coast with an area of approximately 60 square km. Cyclones are the greatest disaster threat of coastal people. Research has revealed that certain indigenous prediction capacity possessed by the local people always helped them to anticipate cyclones and take necessary precautions. The indigenous cyclone prediction is even more important as it was revealed during interviews with the Maheskhali islanders that they do not understand the modern warning system with its different numerical codes (1-10) and elaboration on wind direction, as explained in the warning bulletins. 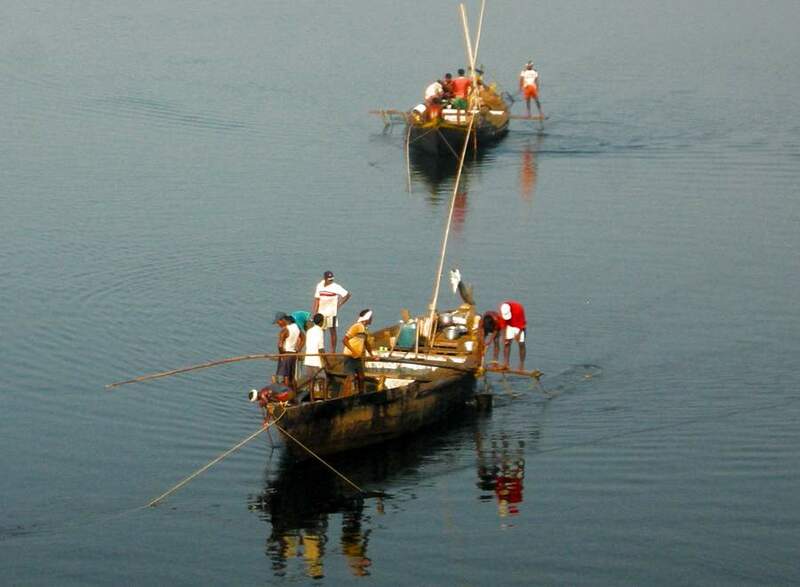 INDIA | Indigenous forecasting in India using meteorological indicators, plant features and animal behaviour. 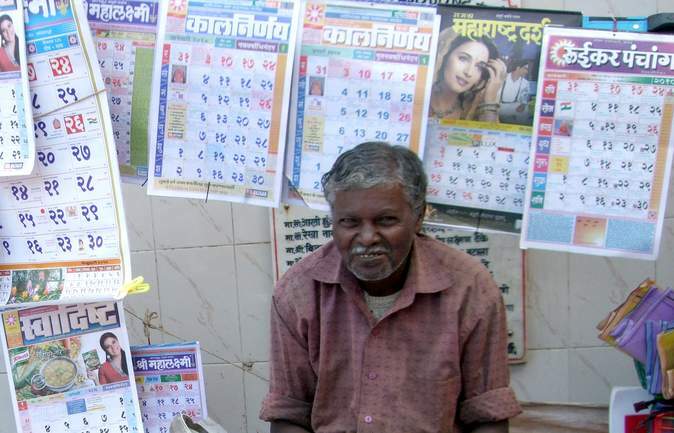 Researchers from Gujarat Agricultural University have evaluated eight indigenous forecasting beliefs between 1990 to 1998. For each year, the data was tabulated and analysed on the basis of Bhadli’s criteria. Based on the findings the researchers concluded that many of the beliefs are reliable indicators of monsoon. The study has helped to restore the people’s confidence in their own traditional knowledge and skills. As climate change occurs, these traditional forecasting indicators may change. Locals have to continue their observations and adjust their predictions accordingly to ensure that correct coping mechanisms will be applied. INDONESIA | Customary Iban Community. This study examines the social and institutional practices of a sedentary Iban sub-tribe in the upstream part of the Kapuas system in governing their life. In 2008, the Sungai Utik community acquired a formal, recognition of their institutional capacity to live at the center of one of the most complex ecosystems that is the tropical rainforest of Kalimantan. The Indonesian Eco-label Institute provided the community logging practice of the Sungai Utik Ibans its “seal of ecological appropriateness”. The Sungai Utik life-space is part of the bigger climatic zone just north of the Equator that has been predicted to experience higher precipitation over the course of climate change in this century, particularly in comparison with the last three decades of the last century. It means that the community should learn to adapt to a transformed rainy season—the duration of which and the timing of its start and ending are also subject to change—for the crucial nugal (planting) rituals.